Make these easy DIY coffee filter roses with items from your kitchen! 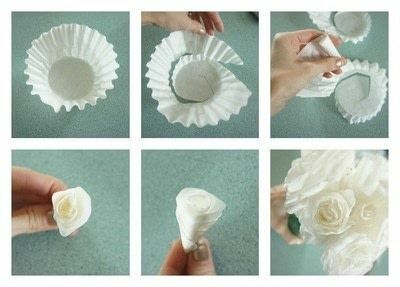 Cut a spiral shape out of the 3 or 4 coffee filters (together, to save time!) roll each one starting from the center and adding on a filter until you have the fullness you want. Hot glue a skewer to the base of the flower. 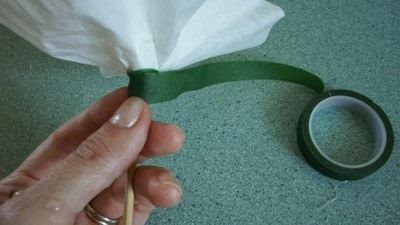 Wrap florist tape at the base and spiral down to cover the stem. Add a bit of hot glue to get the tape started. 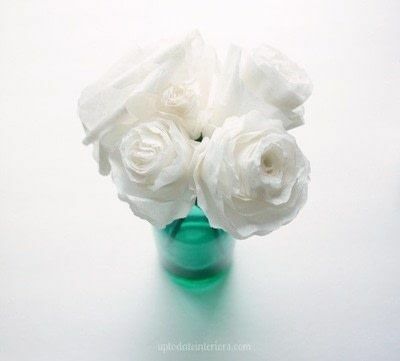 Dye your flowers with a water-color bath, tea, or anything else you can find in your kitchen. I used red wine vinegar. Hang it upside down to dry. 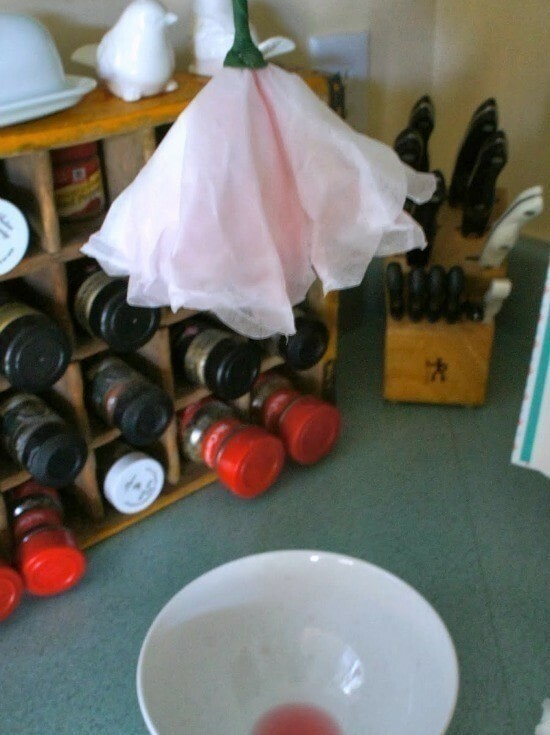 You can also use a hair dryer to speed up drying time. 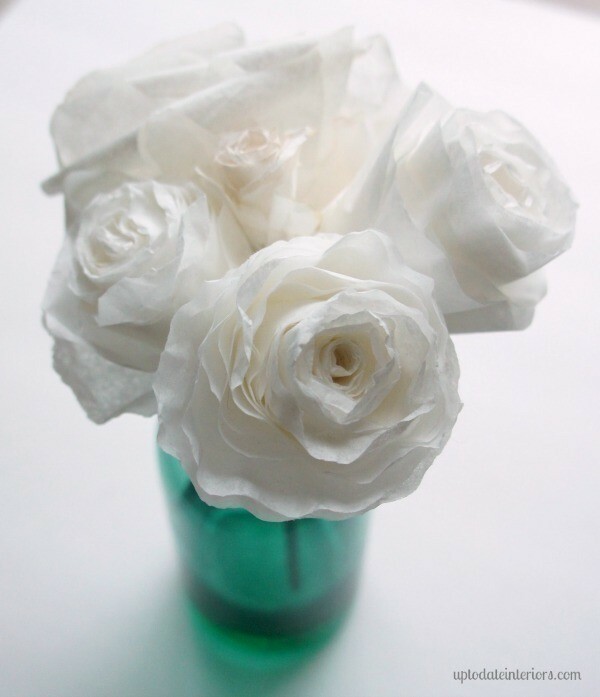 Curl some of the petals under by rolling the edges around a skewer. That's it!